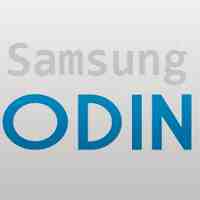 If you have a Samsung family device, and want to connect that to a computer, and want to install firmware files, then you should download Odin software from the link below. This software will let you install official firmware files without any great difficulty. For those, who do not know the basic of flashing should use this only software, as this Odin and Samsung got a great bond. This is not from the now, it has been years, they share a great bond, and the software evolves all these years as the devices. So, you will get great comfort and this software will understand the device requirement and will give you the right solution. As Odin is a portable software, which needs no installation on your computer, you just tap on it launch it and have the firmware files. Please note, Odin software only installs official firmware files on Samsung Galaxy devices, to install custom files, you need to move to another application. This application provides you the simplest method to install firmware files, though, by reading, it might seem some difficult, but in doing, you will get no hurdle. You can get in here, all Odin versions, all work great; you can pick on to get the installation files for your Galaxy device. The developers of Odin has made this software light-weighted, this eats no much memory of the devices, and works efficiently. Though one can get the old files as well to flash the phone, it would be ideal to install the latest files, which also preferred by Odin. Simple interface, great navigation, one can move one corner to the other easily, without of any fuss or hurdle. Just extract the file from the zip, and tap, no installation requires, and start working on your project of installing flashing files. Though the Odin can also get you root privileges, it is preferred after using it for the Rooting purpose, you should use auto root application, as auto root apps are much easier to handle in case of rooting. But, if you know this application very well, and can handle it, you should use Odin for rooting as well. If you are installing the official firmware files for your mobile phone on Odin, this means the files will be genuine, and you will get OTA through the update system from the official. Any change to the system will directly be updated on your device as well. Though one can try to upload the stock ROM to get non-official firmware files on your phone, this is not what promised by Odin. Odin can do repartition of the device as well, but this is not much used or talked feature of this company. Anyhow, if you want to download this Odin Software, then we already have given a download link, tap the download button to get the file, hope the download link will be working fine, if not then comment down in the section.